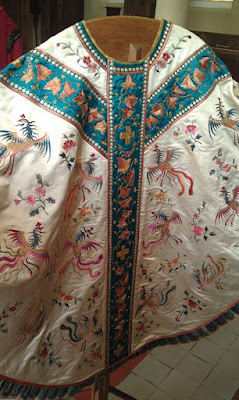 Almost seven years ago, on April 21, 2010, I published an article here, Liturgical Arts Quarterly 1935: “Christian Art in the Far East.” This article presented some fine examples of liturgical inculturation -- something that I often explored here on NLM, particularly as so many things manifest in the name of “inculturation” in our time seem so often misguided and misplaced; it is worthwhile remembering, however, that it hasn’t always been this way, nor must it be. 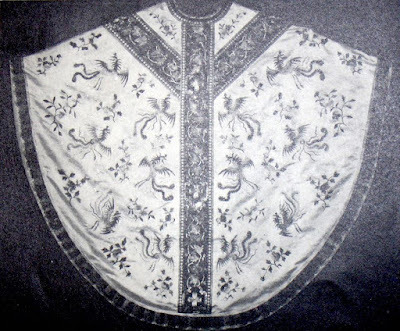 Now black and white photos of vestments, in my experience, can do one of two things: they can either make the vestments look better than they really appear in person, or they can do the exact opposite and not show forth just how spectacular they are. (The reason for this is the same in both instances: the lack of colour doesn’t adequately provide a view into all the textures, textile qualities and colour harmonies or disharmonies). As you can see, this is an absolutely exquisite piece of craftsmanship. Putting aside the themes for a moment, the silks, the bead work, the embroideries, the colours, they all combine into a splendid harmony. 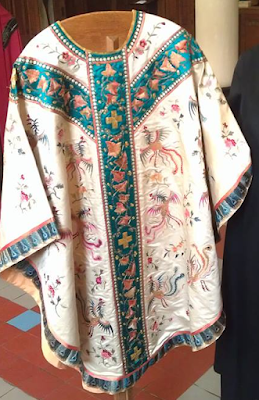 Added to that are the splendid Chinese motifs that make this a truly stunning and unique piece of liturgical art and, in my estimation at least, an example of one of the very best manifestations of liturgical inculturation. 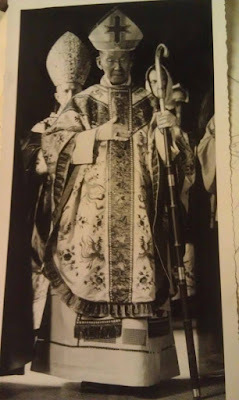 Photo Credit: Photos of the chasuble by Cyril J. 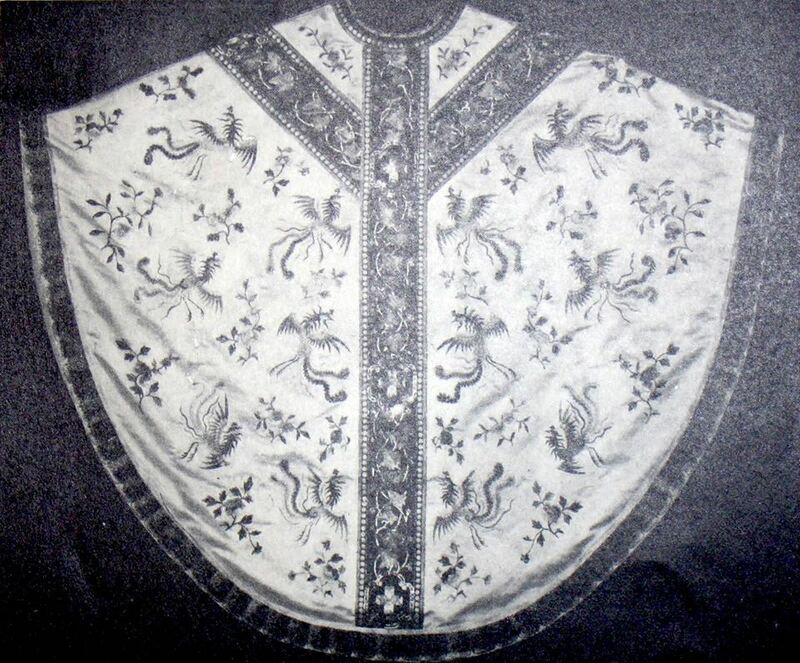 Law with kind permission of the Abbot of St. Andrew's Abbey, Bruges. Cyril also provided us with historical photos of Dom Lou. Thanks to him. Follow Shawn Tribe on Facebook and Twitter.